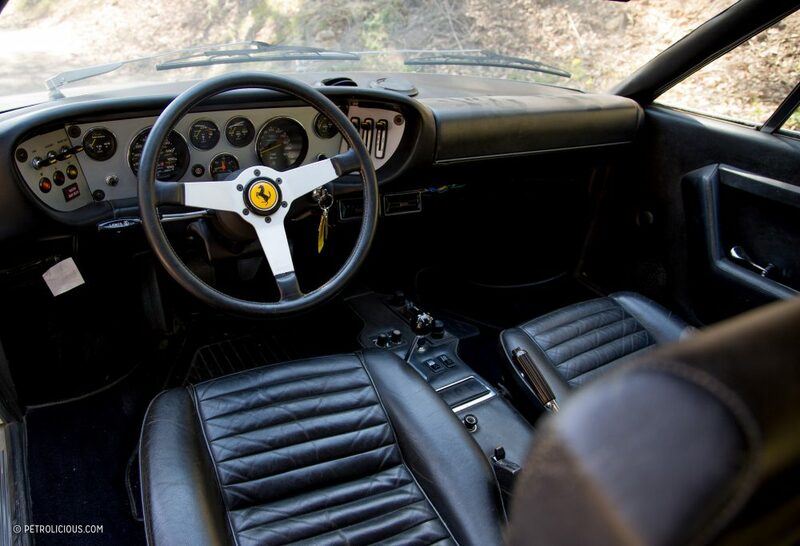 The Ferrari Dino 308 GT4 represented a revolutionary change in the Ferrari line. 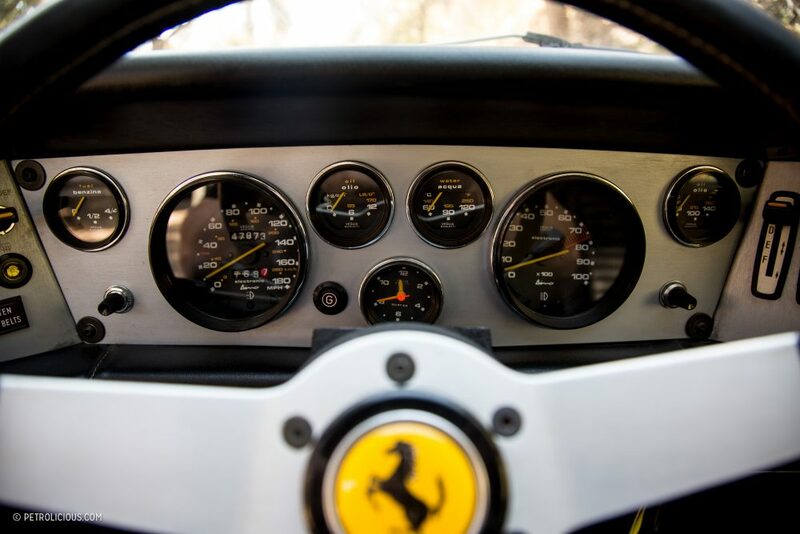 It was the first production mid-engined V8 Ferrari, and oddly it was also a 2+2. 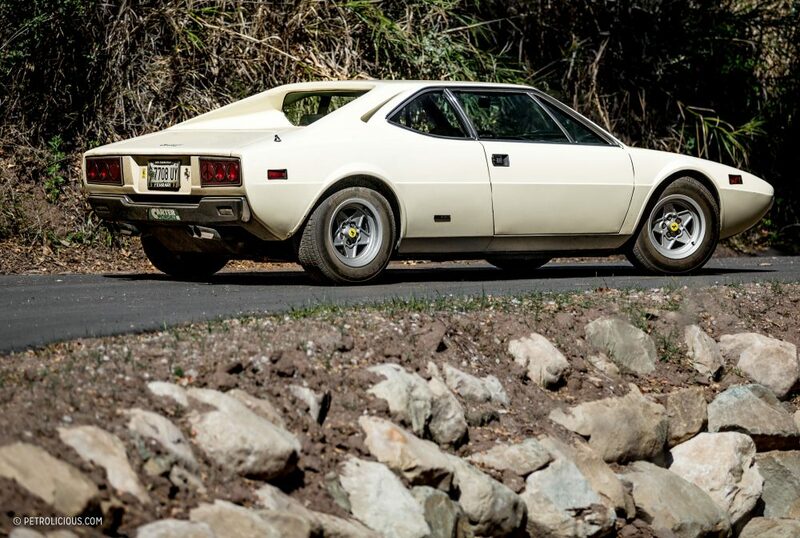 It is also the first production Ferrari designed by Bertone. 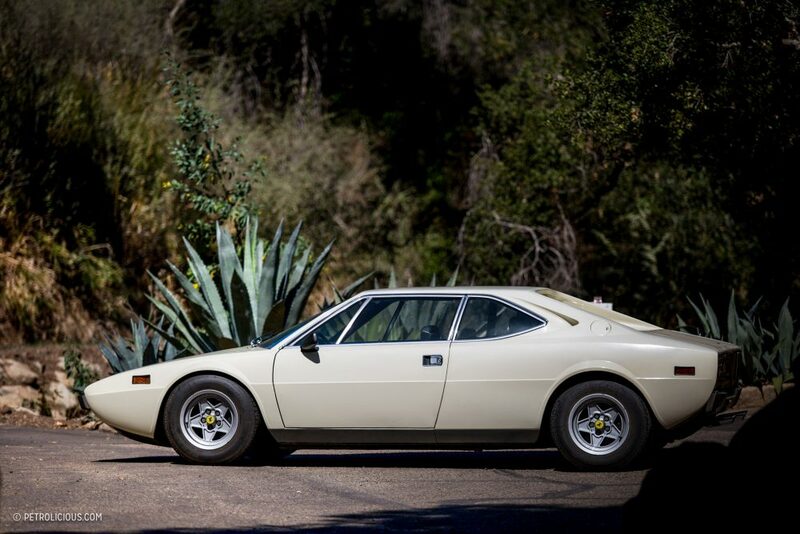 And for owner Derek Tam-Scott, this well-worn 308 GT4 is his first Ferrari, or Dino, depending on how much badging matters to you. I found this particular car on the Driving While Awesome Coastal Range Rally, and I could not resist shooting it covered in dirt and dust by the end of the weekend. 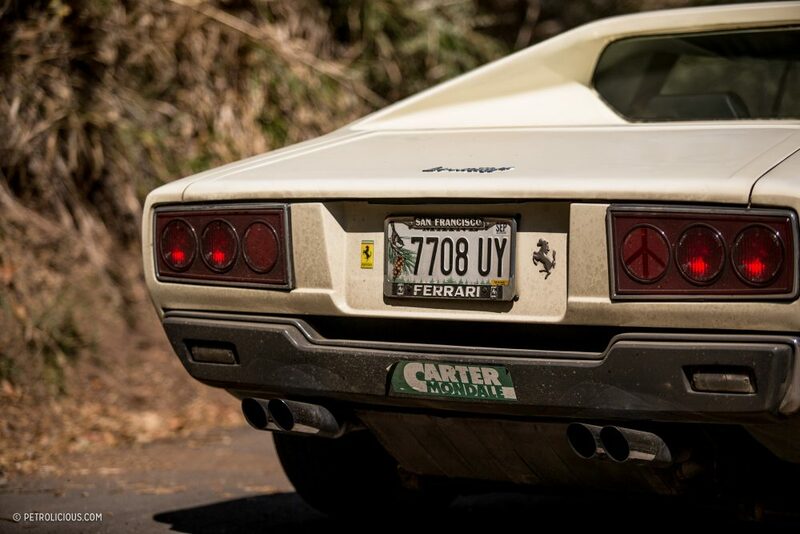 When do you ever see a filthy Ferrari from the ‘70s fresh from a thousand-mile-plus road rally? 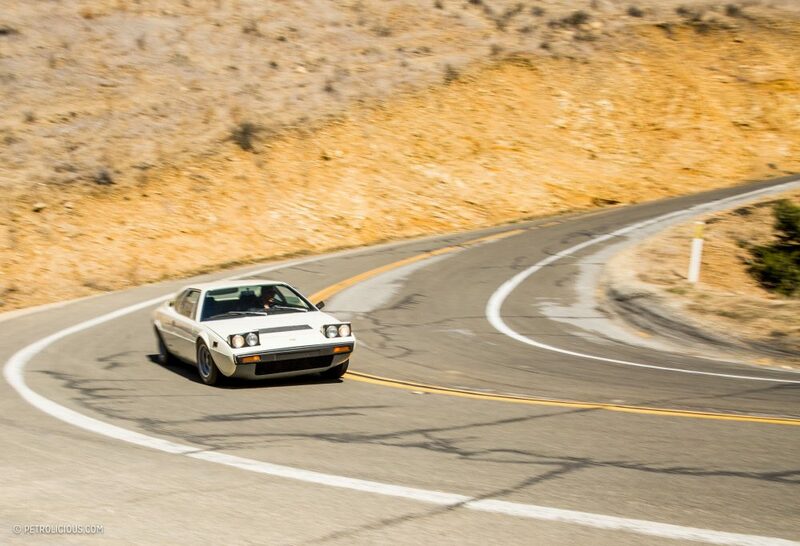 We sat down with Derek to learn a bit more about his unique car and the story behind it. He is a principal at Fantasy Junction, a broker of collector-grade race and road cars in Emeryville, CA. He’s driven a few exciting cars in his day, so I had to find out what made him choose the 308 GT4. 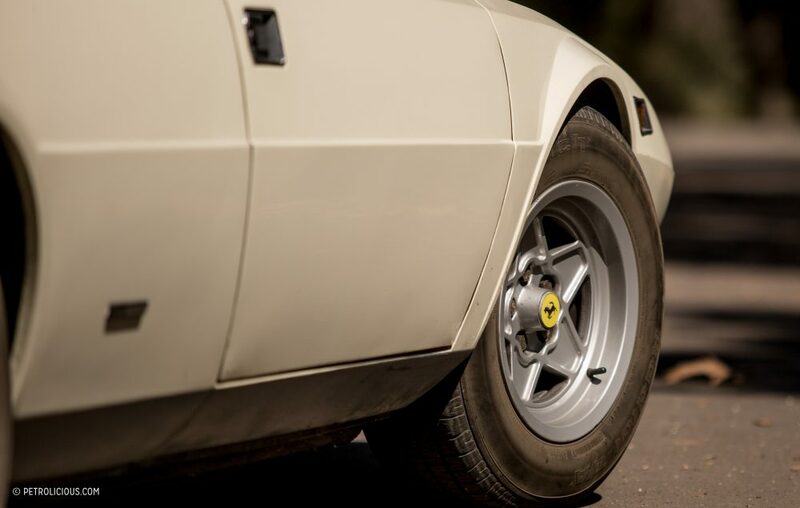 Patrick Stevenson: What inspired you to purchase a 308 GT4 as your first Ferrari? 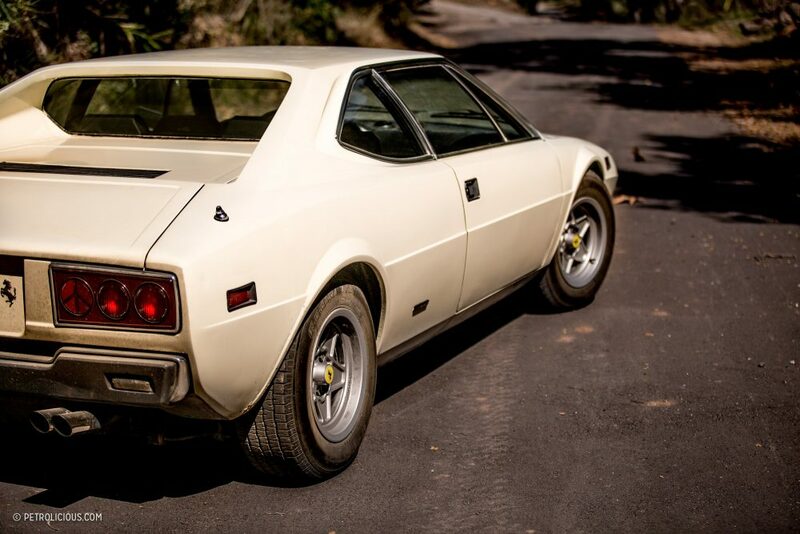 Derek Tam-Scott: When I was 18, I worked in Switzerland for a classic car dealer and one day the owner just threw me the keys to a metallic brown 308 GT4 with a beige cloth interior (a Euro car of course!) and he told me to go take some pictures. 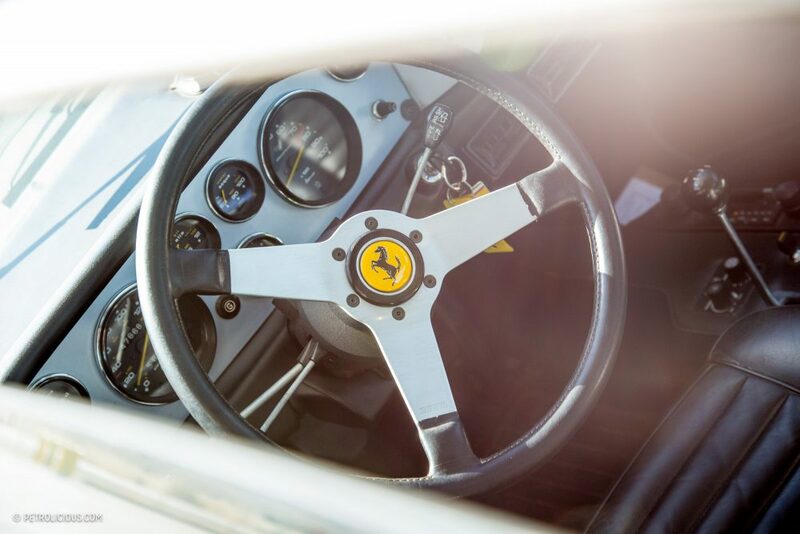 It was only the second Ferrari I had ever driven (the first was a Daytona), and it was definitely a memorable experience. PS: First times tend to leave lasting impressions, but what about this particular GT4 drew you in? DTS: As far as this specific car goes, I guess you could say I was inspired by the way it drives. I have this awful habit of telling people whose cars I admire to let me know if they’re thinking of selling, and I first saw this car from the underside; it was on the lift at the shop that’s restoring my father’s Miura, and I liked that it was getting a fully rebuilt suspension, a belt service, and new tires, so I casually asked the shop owner to have the guy with the 308 give me a call if he was looking to sell. Well sure enough, nine months later, I got an email from the owner of the car and I figured “What the hell” and went to look at it. I wasn’t set on buying it, and when I arrived, the car’s topside (which I had never seen until that point) was a fair bit more “pre-owned” than I’d hoped. I drove it regardless, and that’s when I knew I had to have it. 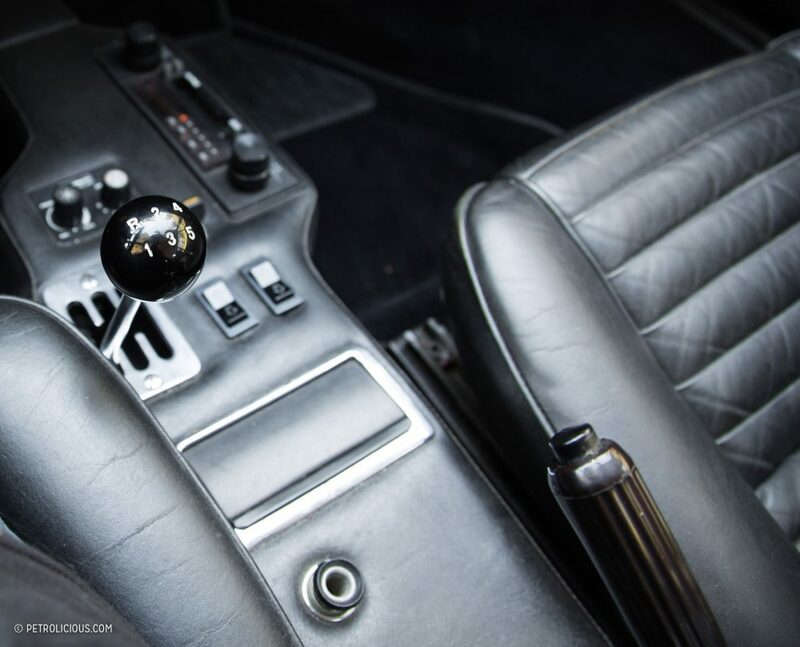 People mistakenly assume that any old car will drive the same as any other example of the model, but the reality is that they vary widely based on whether they’ve ever been taken apart and how consistently (and competently) they’ve been maintained. This one has excellent carbs, the chassis was still tight with surprisingly light steering, the synchromesh was great, and the brakes were firm and linear. It had European bumpers too, and best of all it was fabulously not-red. PS: Right, that color isn’t very pretentious and certainly not something you’d expect on a Ferrari; what else makes the car unique? DTS: It seems to intrigue people for one thing. 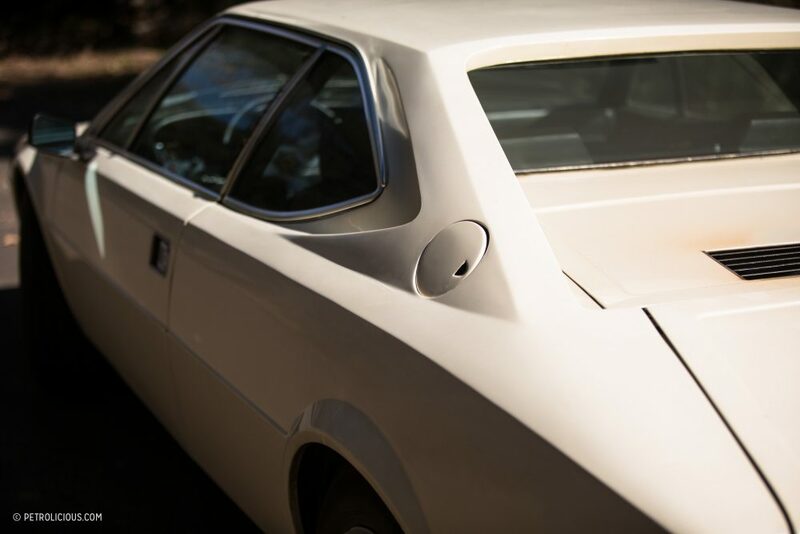 The wedge shape is arresting and unfamiliar, but the white color seems to throw people the most: the common guess from strangers is that it’s an Esprit. 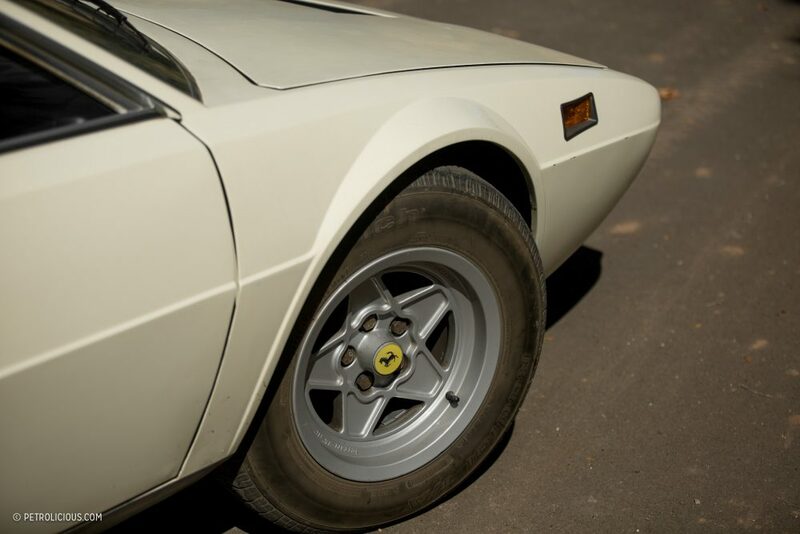 It attracts a surprising amount of attention and people struggle to identify it because it’s still Dino badged. 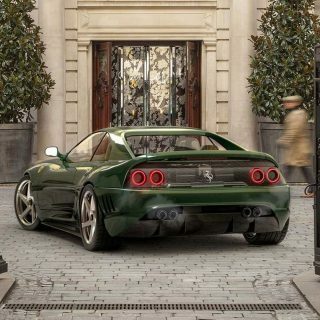 They’ll walk up to it and I’ll watch for the evolution of the puzzled face to recognition, which happens if they’re looking at the back since someone added a Cavallino Rampante next to the rear license plate, but if they approach from the front, they’re wholly confused. 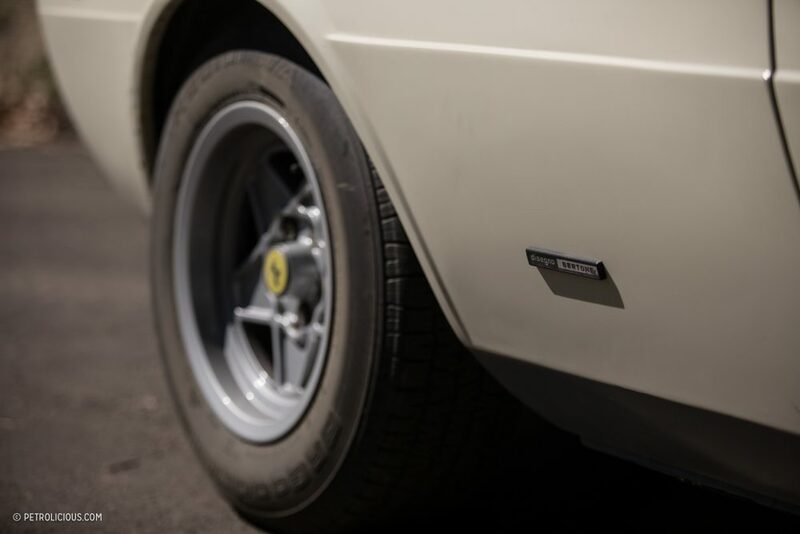 Early 308 GT4s were badged as Dinos instead of Ferraris, which changed relatively early in production, and so many early cars were retrofitted with Ferrari badges by dealers in order to make them easier to sell, or by owners in order to make it easier to get laid! 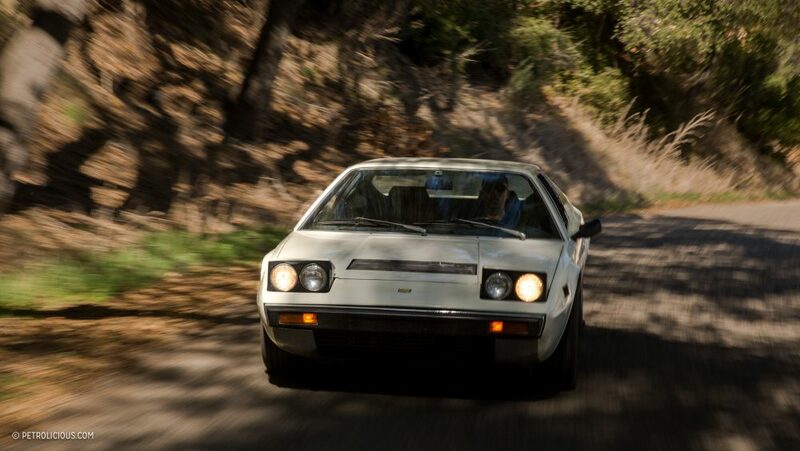 Apparently, only 15 GT4s were built in this color—Avorio, which just translates to “ivory” and is quite a bit creamier than a true white—and I’m glad this one wasn’t changed to red like a lot of others were in the ‘80s and ‘90s, and I’m so glad they left the Dino badges too. Speaking of the ‘80s, this car has been in Northern California since at least 1986 (I don’t have records from before then), and in fact, it was sold to the guy I bought it from in 2000 by Fantasy Junction, the dealer at which I started detailing cars when I was in high school! After I bought this car in 2015, I went up into our attic where all the hard copies of old files are kept, and I actually found this car’s original file, which contained some records that I didn’t already have. Another unique thing about it is the condition; the car is kinda scuzzy. It got a medium-quality single stage repaint at least 20 years ago, but has otherwise not been restored. It definitely wears its age, possibly even with pride. I tend to own cars that are nicer than this cosmetically, and I apparently I live in opposite-land because I have a Mercedes W124 E500 and a W202 C36, both of which are exceptionally clean examples of cars that often have enough mileage to have made it to the moon, and then the Ferrari, which most owners fawn over, is scruffy and used. So, regardless of which of these cars I’m driving, the condition is different from most of the ones you see out there, and I like that. With the GT4, it has been wonderfully liberating to have a car, a Ferrari no less, that I don’t care about parking anywhere or driving the snot out of. 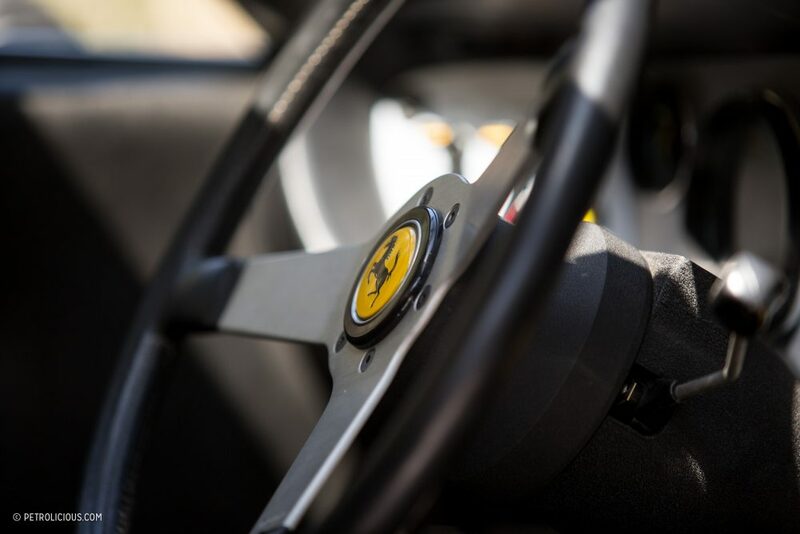 On the Coastal Range Rally, there are optional dirt sections and I’ll be damned if I wasn’t going to be the guy driving a Ferrari through it. PS: I love patina, it shows a different kind of love than a garage queen; too many of these vintage cars sit unused, degrading but looking pretty. 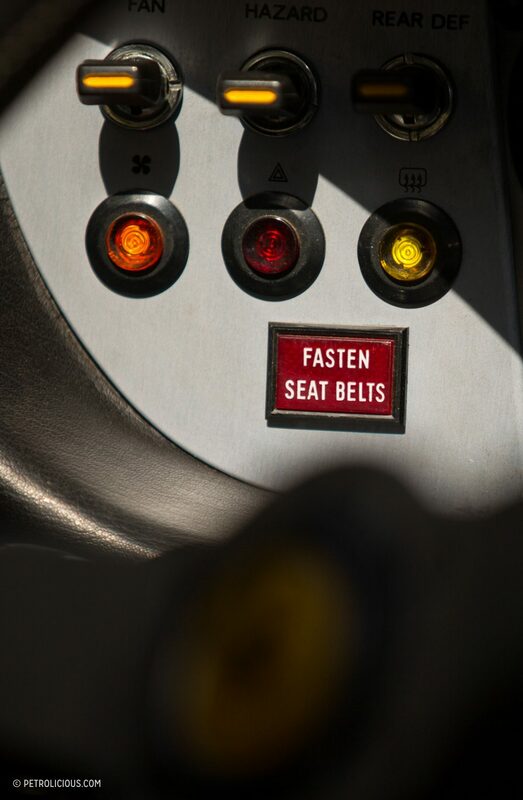 Can you tell us about your favorite driving experience in the GT4? 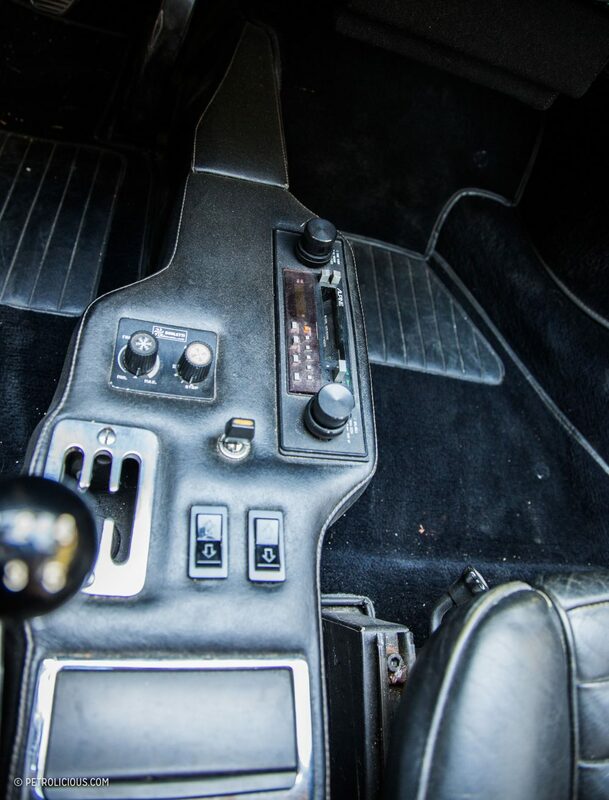 DTS: My favorite driving experience in the Dino was undoubtedly the Coastal Range Rally. It’s difficult to separate the camaraderie and the general joy of the event from the car itself, but even objectively, this experience was great because it gave me a chance to push the car and get to know it better over the course of three days in a way that I just never would have driving around for an afternoon by myself. Trying (and ultimately failing after a reasonably noble fight) to keep up with a Honda S2000 on Michelin Pilot Super Sport tires caused me to drive it harder than I ordinarily would, and I was consistently impressed by the car’s competence, both dynamically and in terms of its durability. 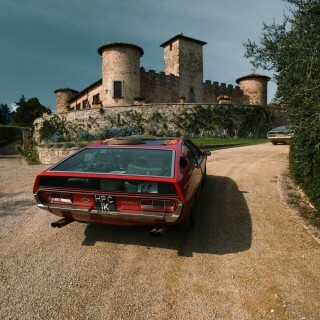 We tend to view old Italian cars as fragile, but I caned the car and it never missed a beat. 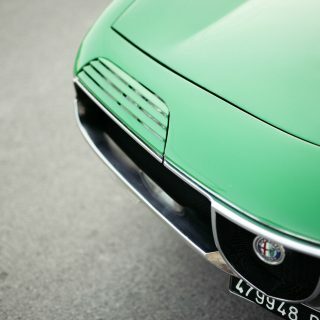 Of course, not all old Italian machines are like this, but mine has turned out to be a good one. PS: Speaking of the rally, how did it handle the challenges of running hard for three days straight? DTS: Like a champ! It always started (and stopped and turned) and it kept up reasonably well. 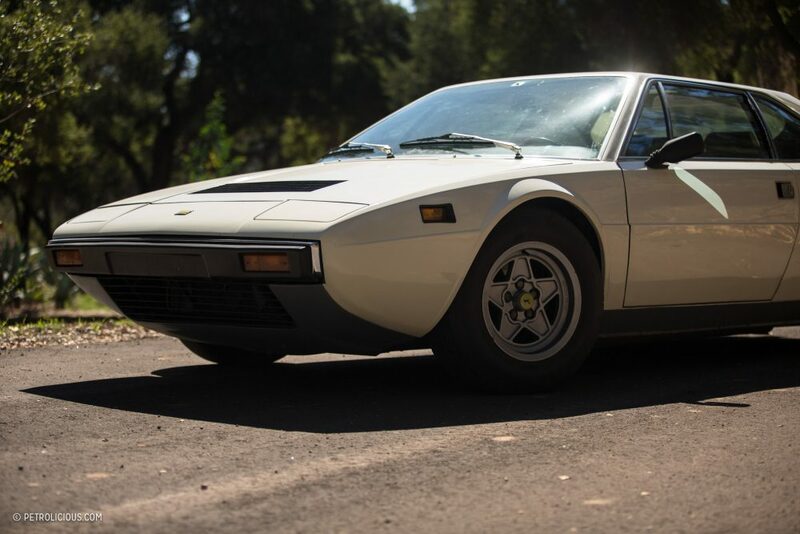 I was a bit apprehensive being one of the oldest and most Italian cars on the rally, but having driven the car to Monterey for car week twice and basically pressing it into service as a daily driver for a week without incident both times, I had a pretty good level of trust in the car. As much as I like driving 911s, it was nice not to be another guy in a 911, especially since I am usually that guy! PS: I’m curious; how does the GT4 handle at the limit? DTS: It’s stable and competent. It’s not a scary car. Lifting off the throttle mid-corner doesn’t change the attitude of the car a whole lot, and it sort of just does what you ask it to. The ride quality is outstanding on 70 aspect ratio 14” tires, but a trade off of this is that the car doesn’t really like last minute changes to the plan; it prefers that you commit and select a line, which it will obediently hold and complete without a lot of drama. It’s not a darty or playful car, and it never seems to be begging for more, it’s just sort of Eeyore-like in its acquiescence, but also remarkably capable even on these BF Goodrich T/A tires which were described in period ads as delivering “crisp handling” but are described today on the sidewalls as being mud and snow rated. The car really should be on XWXs or Cinturatos, but these were new when I bought the car and until the CRR, I’d never used it for swift road work like this. PS: Your car has both Ferrari and Dino badges on it as you mentioned earlier; how do you find the GT4 fits into Ferrari culture? DTS: There’s a strange conflict here. On one hand, the Dino badge was created to honor Enzo’s son Alfredo (who went by Alfredino, which means “little Alfredo,” and was shortened to just “Dino”). He died of muscular dystrophy at age 24 in 1956. 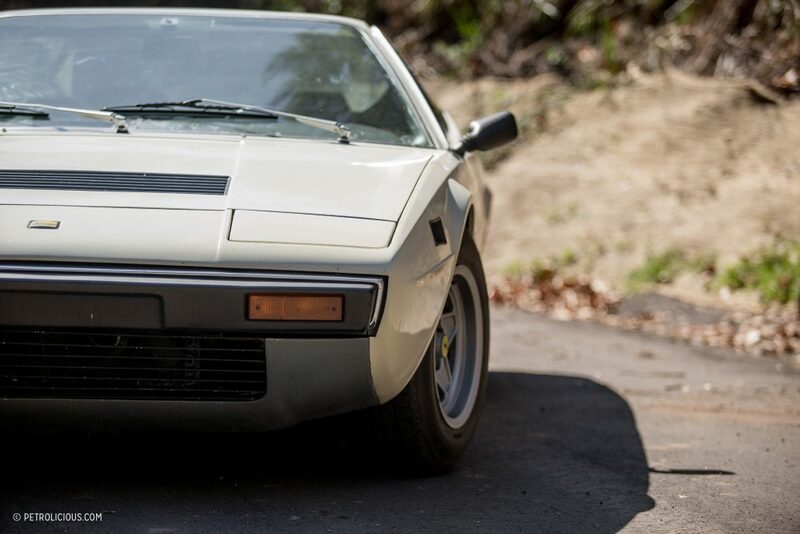 On the other hand, Enzo was of the mind that real Ferraris should have 12 cylinders, so the name was sort of reserved for “crappy” Ferraris that weren’t real Ferraris. 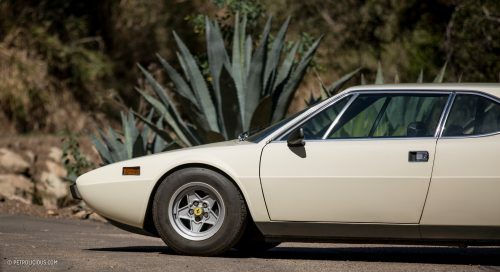 In any event, if you go back far enough, the 206 and 246 Dinos were at one point also seen as an “I see you can’t afford a real Ferrari” Ferrari, but the 308 GT4 still carries that torch today, along with its replacement, the Mondial. 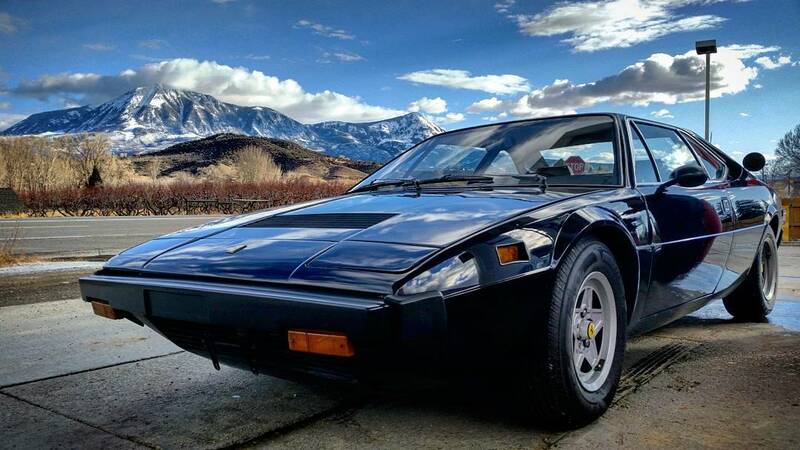 I feel about the GT4 the way I do about the Porsche 944; if it were made by any other car company, it would be considered fantastic, but because both the GT4 and the 944 were made by the same companies that made some of the most legendary sports cars of all time, they’re viewed with an artificially critical eye. 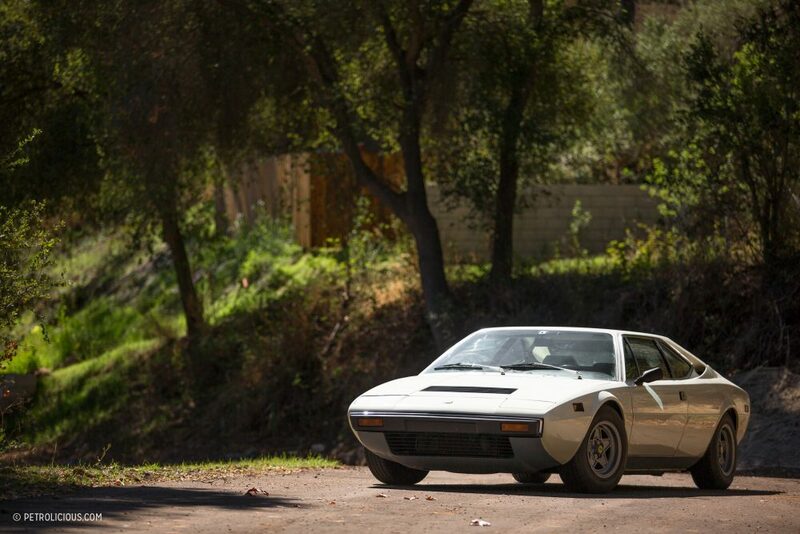 Objectively, it’s a pretty neat car: visually striking (but not beautiful) Bertone design, rad retro-futuristic interior, mid-engined, quad-cam alloy V8 with lots of Webers, a dogleg transaxle, and a pleasure to drive. Why a GT4 is worth the same as an Alfa GTV is completely beyond me. There’s a small group of rabid (and possibly cheap) enthusiasts who have fallen for the GT4’s charms though. 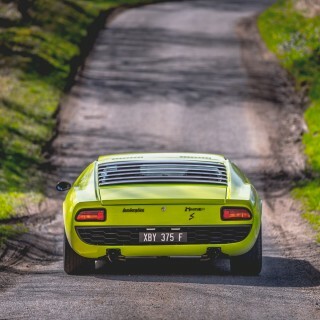 They’re genuinely great to drive, and in a sentence I would describe it as a faster, less fragile 246 Dino. The driving experience and character are surprisingly similar between the 246 and the GT4, and I believe the GT4s is a better driving car than the 308 GTB/GTS and the 328s. I’m not alone on this front: Bruce Trenery, the owner of Fantasy Junction, has articulated the same sentiment and even owned four GT4s at one point (he’s down to just two now). PS: It seems like the GT4 may be a bit undervalued at the moment, which I’m sure you know. Tell us, what is your favorite aspect of the car? DTS: My friend Jason Cammisa put it perfectly: “As a 4 seat Ferrari in white, it’s basically douche-proof.” To that I would add that the scruffy condition means that I can use it without any guilt or hesitation, and in my eyes, the condition adds a level of credibility and authenticity that is missing from the over-restored trailer queens that haven’t been functionally resolved through proper shakedown and fettling after their restorations. Pair that with the best driving experience of any GT4 I’ve driven (I drive every GT4 that comes through Fantasy Junction), and it’s definitely gotten under my skin. PS: It sure sounds like you bought a good one. As with any car though, there has to be a few things you would change about it—what’s the case here? DTS: There are actually two things which are related, and it’s a combination of the Webers and the short gearing. 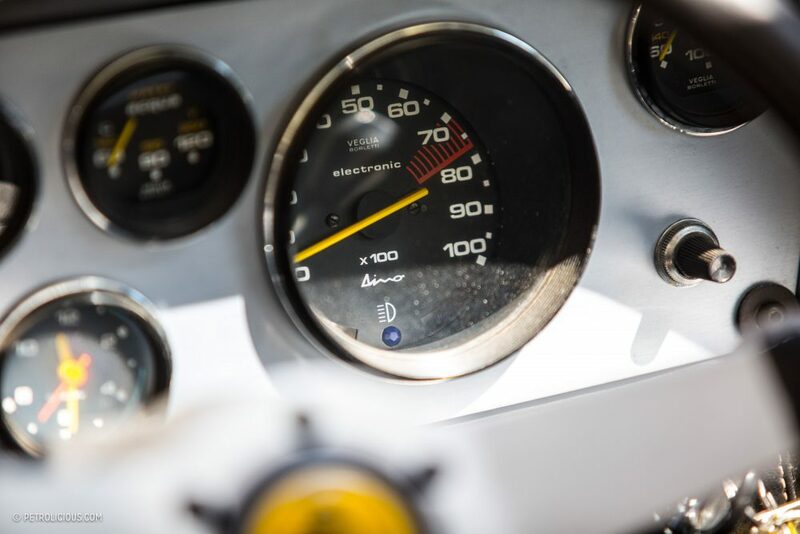 Four dual-throat Webers use a lot of fuel, and US cars are geared rather short to preserve performance in a market where it’s not necessary (or possible) to go 150mph like the Europeans. I don’t care about fuel economy, but I do in the sense that I care about cruising range, and this car struggles to reach 225 miles on a full tank, despite having a reasonably large one. With the noise the Webers make, it’s hard to keep your foot out of the pedal. Also, the fuel gauge swings 25% based on whether you’re turning left or right, so I’ve never run the car anywhere close to empty…I think. PS: Ha! Well, you won’t know ’til you run out I suppose. 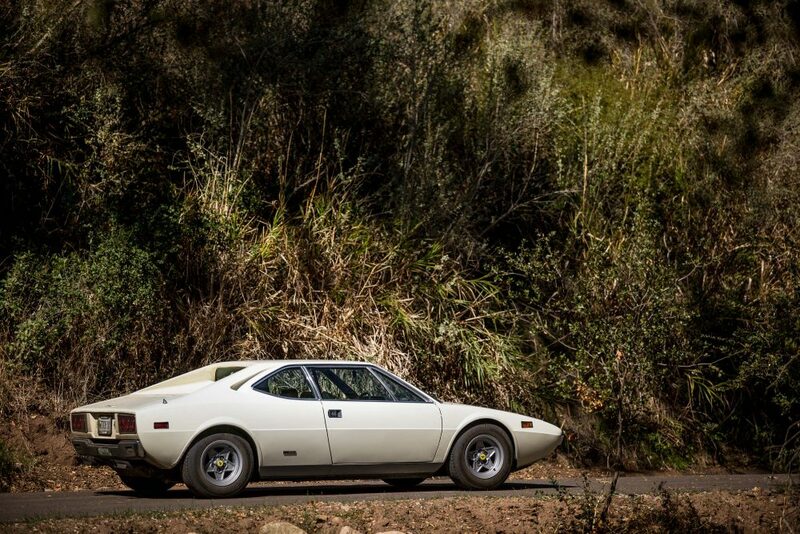 This is a ‘70s Ferrari. there has to be a few more funny quirks, right? DTS: Because it’s a mid-engined four-seat car (a flawed layout which has been attempted mercifully few times and is thankfully more or less extinct other than the Evora), there are some strange concessions to packaging. The driver is pushed forward to make space inside the wheelbase for the seats and the engine, which means the front wheel well is all up in the driver’s business. 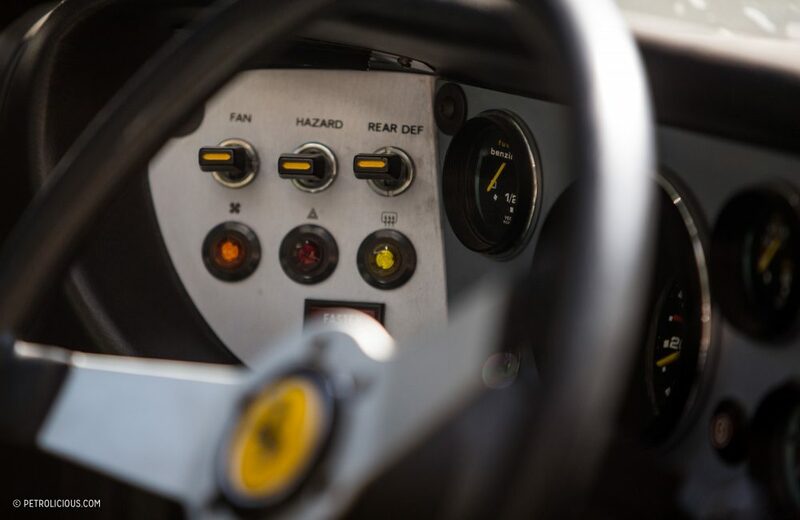 So, the pedals are placed closer to the car’s centerline since the wheel well is in the way, and the driver therefore sits at an angle pointed toward the middle of the car instead of being pointed straight ahead. But don’t worry, the seat is angled toward the center of the car too to help accommodate, which adds further weirdness. 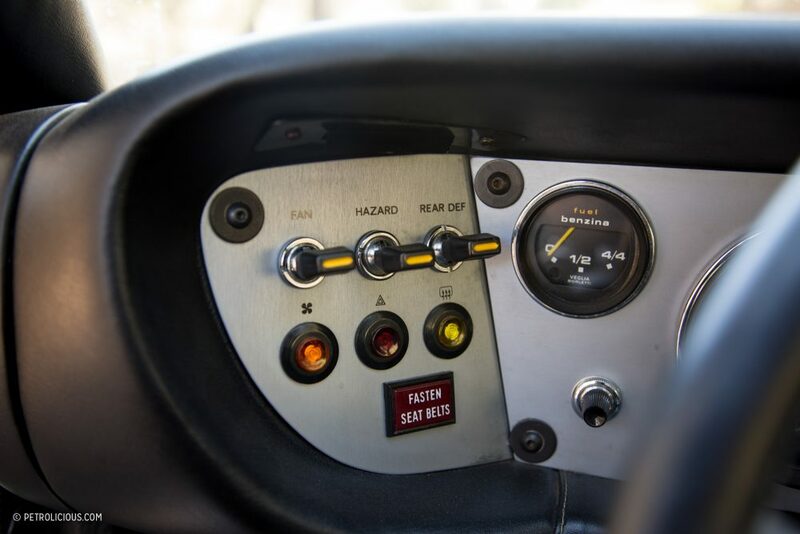 People comment on this when they first get in the car, although I don’t notice it anymore, possibly because for many years, I’ve been driving another paragon of antediluvian ergonomics: the air-cooled 911. I’m also pretty keen on the cassette player. The car came with a George Benson cassette, which was an absolute thrill to discover the first time I turned on the cassette player, and I’ve now started buying cassettes on eBay. I even managed to find a period Italian disco album by Pino d’Angiò whose song “Ma Quale Idea” you’d probably recognize if you heard it because it sold over two million copies and was sampled in the 1999 song “Don’t Call Me Baby.” Sorry, what was the question again? PS: Analog is back and retro sounds are cool again. 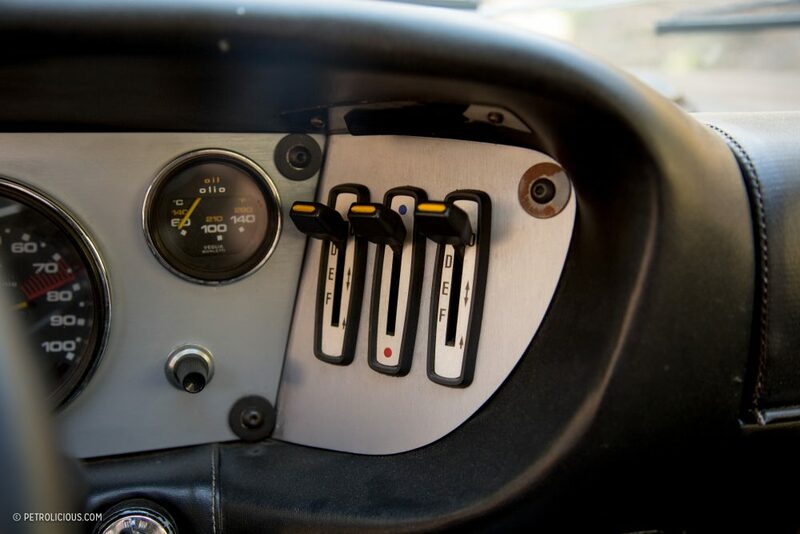 The 930 I was driving in the rally also had a cassette deck: I should borrow a few tapes for the drive home! Back to the car. 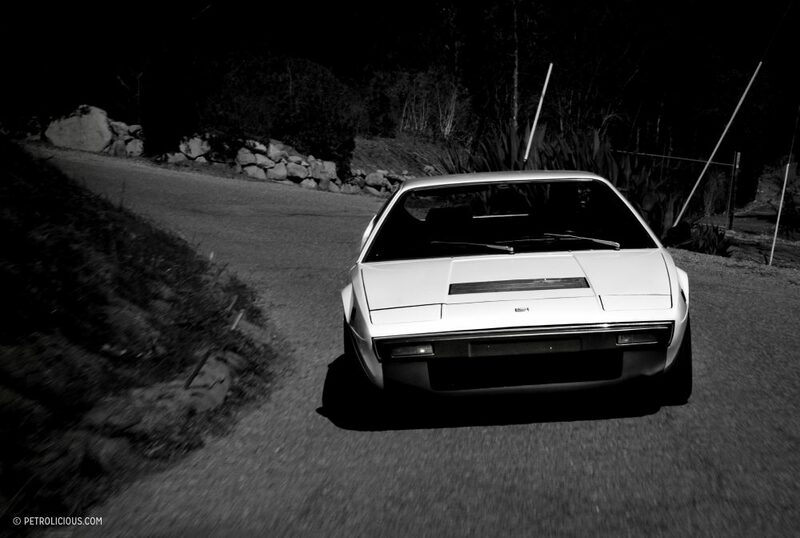 This is the first Bertone designed production Ferrari, and it’s quite striking, but what is you favorite design element? DTS: You’ll think I’m a whack-job, but it’s the curves. At first read, the car seems to be composed almost entirely of straight lines, but as you look at it more, you start to realize that most of the lines on the car are slightly convex. The result is a surprising curvaceousness presence that is much easier to perceive in person than a still photo. 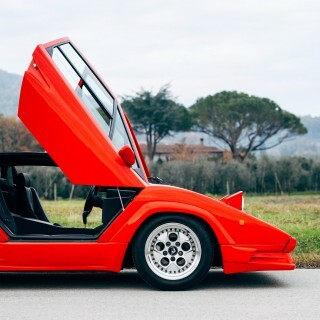 Viewed from the side, the nose is curved, especially on the underside, and if you look at the nose or tail from above, there’s a wonderful slightly bulging taper to the fenders before reaching the abrupt straight line of the front fascia. 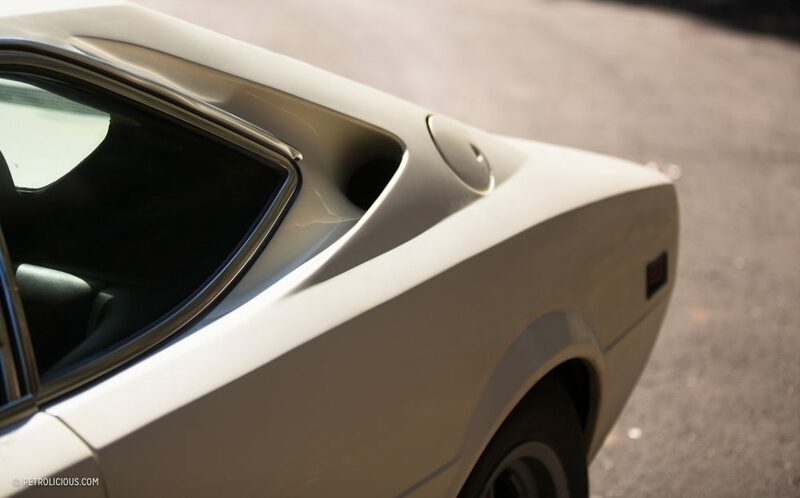 There’s a subtle bulge over the rear wheels if you look at the car in profile, and if you look at it from the front or front three-quarters view, the doors and fenders all display ever so slightly convex profiles. PS: Curves hidden in plain sight, or I guess plane sight! The design has really grown on me while photographing it. Thank you so much for sharing your car with us Derek! Awesome car and great story! Derek told it like the true enthusiast that he is. All the other posers out there with garage queens at cars and coffee should take a lesson. 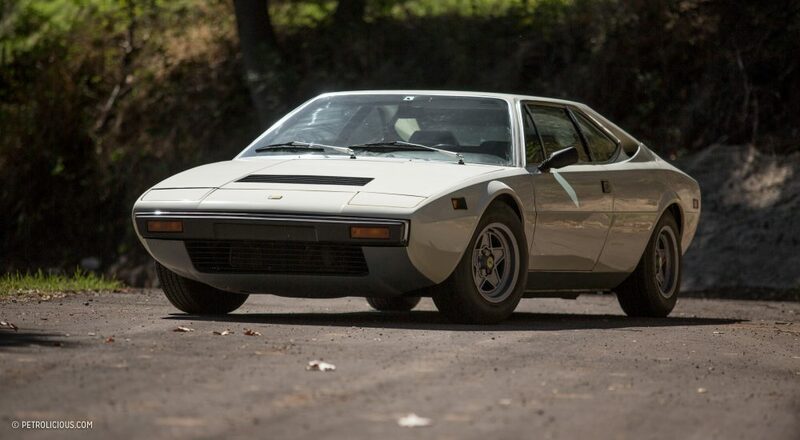 I’d love to own a 308GT4 someday, or an early Esprit. Such a classic style. White is good for Berkeley/Emeryville. Novato needs Silver with the BB black trim at the belt-line. Cars and Coffee invites White to meet Silver!! 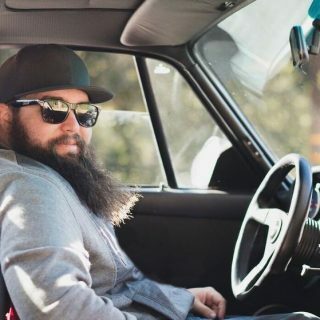 Derek with white; come to Cars and Coffee, April 1, 2018!! Nice color – all white without the black lower sides so many GT4’s have! 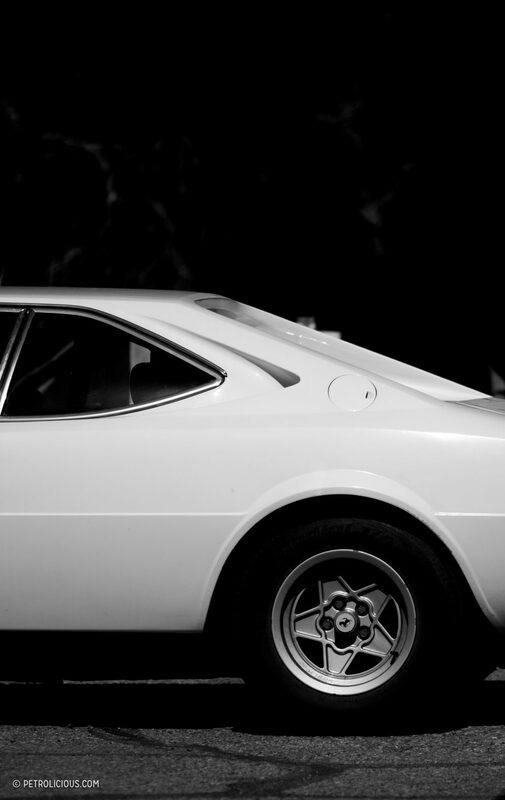 The GT4 was the first Ferrari designed by Bertone – wasn’t also the only ferrari he designed? 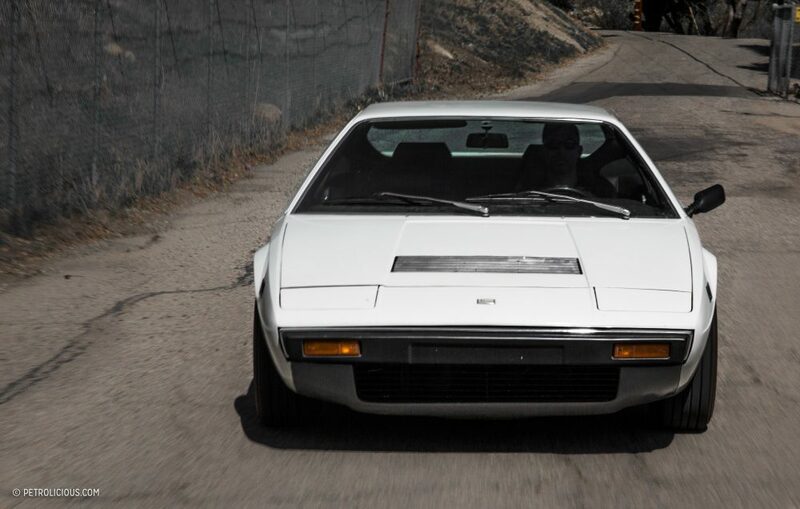 Bertone also did the Ferrari rainbow which, though was a production car (I believe…), found no buyers. The Rainbow looks like a bigger Fiat X/19. I agree that Ferraris look their coolest when covered in dirt after a long drive. 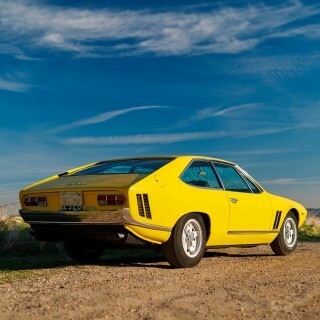 Good to see the GT4 getting some love, the styling has aged very well and far better than the Pininfarina designed Mondial that replaced it (IMHO of course). 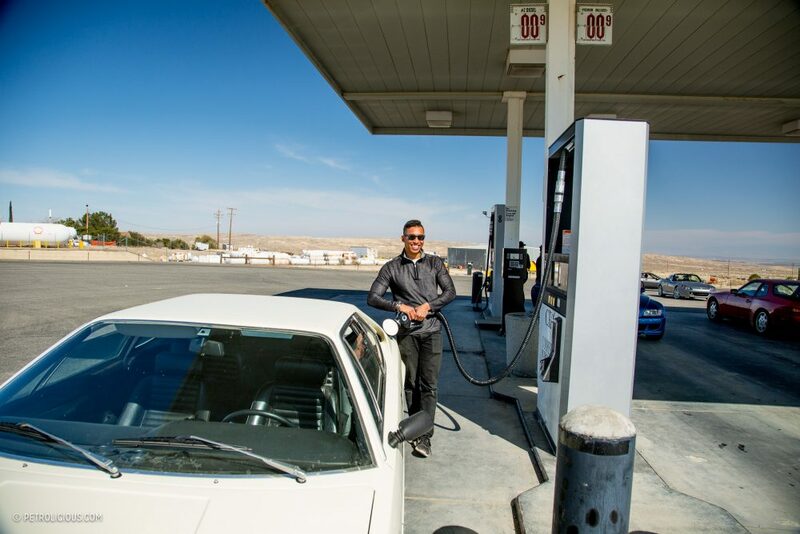 Most of my GT4 pictures are at the gas station, the car pulls to the right every 200 miles or so . 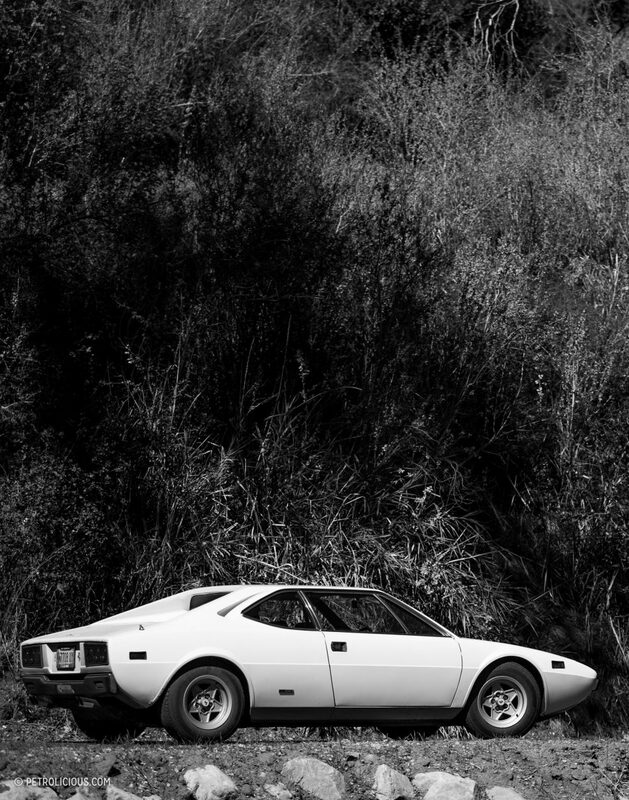 Love the article, agree the subtle beauty of the Dino is standing at the back 3/4 looking down the car admiring the straight curve to the body. I too have a really hard time modulating the ruckus coming from 4 dual twin throat carbs out back. Great article, captures the essence of the GT4 well!